C'est quoi le bonheur pour vous aux Etats-Unis? C est quoi le bonheur? 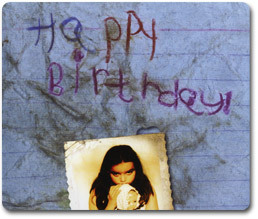 A harrowing, hypnotic journey through the memory of a child's eighth birthday. Dr. Gousseland will give a speech at the NAAP Continuing Education Series on March 17, 2007. This series is called The Evolution of Childhood: From Abuse to Cherishment.